Over the past 20 years, the level of dining sophistication among Americans has risen dramatically. The offerings by restaurants, specialty food shops, and even generic grocery stores have expanded to an extent that avails truly fine dining to anyone with the requisite interest. Ours may be an "age of anxiety" in some respects, but we are also unquestionably in the midst of this country’s gastronomic renaissance. A natural consequence of this trend has been an increasing awareness of the contribution of wine to the pleasures of the table. As part of a meal, wine should not only be delicious, but also serve to amplify the better qualities of the food, refresh the palate between bites, and enhance the conviviality of those participating. An excellent wine should also captivate one’s intellectual interest, drawing us back throughout the meal, and afterwards, to experience the wine’s character and evolving profile. Once one routinely begins to drink good wine with meals, its absence substantially diminishes the pleasure of eating. Despite our increasing familiarity with wine, Americans, in general, are somewhat intimidated by the prospect of "understanding" wine. The terminology, the intricate and sometimes alien descriptors, and the air of exalted refinement in which some in the industry have cloaked the subject, all have discouraged many who know that wine is something they would like to know more about. They know they are missing something, but lack the confidence to engage a subject sometimes portrayed as the culinary equivalent of quantum physics or medieval poetry. Learning about the enjoyment and preparation of food, of course, presents fewer issues. It is simply an extension of a lifetime of experience; whereas, fine wine was put before us as adults and, unfortunately, usually in a complex format. In recent years, the food and wine establishment has recognized these barriers and is making a concerted effort to "demystify" wine. This is a good thing. Knowledge of wine, like most subjects, can be enjoyed at several levels. It is not necessary to be able to identify trace aromas of underbrush or white peaches in a wine in order to appreciate its quality, anymore than one needs to identify all of the stringed instruments performing a Mozart symphony. It can be fascinating to do so, but is not essential to a highly discriminating appreciation of wine, particularly in the context of a wonderful meal. Once a basic appreciation is learned, there is a strong tendency to develop one’s knowledge and taste sensitivity further—and the journey is as delightfully stimulating as the destination. What is essential in experiencing and assessing the quality of wine is giving the wine some focused attention. One needs to be sensitive to the fundamental characteristics of body, texture, balance, and the depth and concentration of aromas/flavors in order to have a useful and pleasurable understanding of wine. These elements are not very difficult, and an awareness of them in every wine you drink will enhance your tasting sensitivity and increasingly enable you to distinguish an excellent wine from a mediocre one, and certainly from a bad one. These characteristics are discussed below. Excellent wine also possesses good structure, complexity and finish. These attributes are not easily defined and usually require some tasting instruction to be critically aware of them. I’ve chosen to defer these concepts for later. 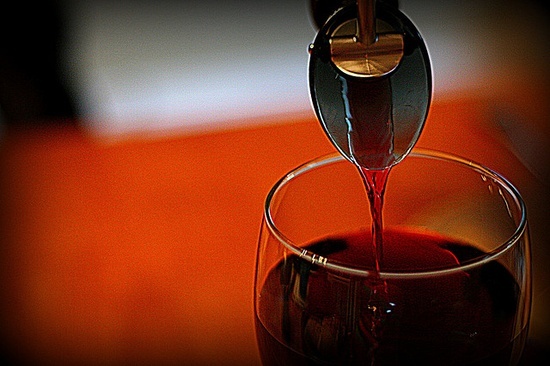 Most discussions of fundamental wine appreciation begin with tasting techniques: observing the color, concentration and viscosity of the wine; swirling the wine in the glass to release the aromas; absorbing the aromas; tasting the wine; and savoring its finish. Technique is very important to optimizing the experience, but I’ve elected to begin with the wine itself, and will return to techniques in a future article. The term BODY refers to the sensation of weight and fullness of the wine in your mouth. A wine is generally described as light-bodied, medium-bodied or full-bodied, with gradations in between; e.g. medium- to full-bodied. Several writers, including Karen MacNeil and Andrea Immer, draw parallels to milk: skim, whole, half & half. These all have a familiar mouth-feel and are useful in categorizing the body of a wine. Body is largely a function of the amount of alcohol in the wine, but its importance lies more in what style you enjoy for a particular occasion and what types of food will complement a specific body-style. You would rarely pair a delicate dish with a full-bodied wine. Conversely, a light, elegant wine will do little for a braised beef daube, and will get lost in the combination. As always, there are wines that transcend such easy categorization. Champagne and Rieslings from Germany and Alsace can hold their own with most cuisines, though I’m not tempted to serve them with beef. There is a similar correlation with the seasons. As the weather grows warmer, our appetites move toward lighter fare. This translates into wines that are lighter-bodied, lively and refreshing. The colder months beg for comfort food and full-bodied wines. TEXTURE is related to body, and is included by some authorities in the definition of body. That can be confusing, however, and underplay the importance of texture. Like body, texture has to do with mouth-feel. It is the tactile sensation created on the surface of the mouth, as we taste the wine. Just as you might rub your hand along the surface of an object or bite into a custard, so too can you discern the silky or creamy or brambly texture of a wine. Fabrics are often used to describe texture, from silk to velvet to wool to burlap. Without identifying it as such, I believe most people gravitate toward wines possessing a texture they particularly enjoy, and that is certainly a valid priority. The silky, almost polished texture of a fine red Burgundy is one of its most alluring qualities. In the context of this article, DEPTH and CONCENTRATION refer to the degree to which the flavors and aromas of the wine are expressed. Depth is sometimes used somewhat synonymously with the term "complexity," referring to the intensity and multiplicity of flavors and intellectual intrigue of the wine. Avoiding the difficulty of complexity at this point, simply focus on what the wine is giving you in terms of pure, precise, concentrated aromas and flavors. Is it predominantly fruits, earthy (e.g., mushrooms, tobacco, leather) or floral; is it adequately intense; is it pleasing? 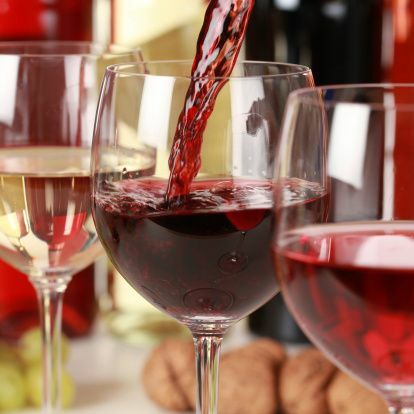 Wine has various major components — fruit, alcohol, acid and tannin — which in proper combination (along with other possible components, such as oak and sugar) largely determine the wine’s quality. When these properties are harmoniously blended, through viticultural practices as well as wine-making, the wine is said to be in BALANCE. None of the components is dominating the wine. A wine that tastes like crème brulee may be pleasing to some, but it is out of balance because of overexposure to oak, which imparts a vanilla taste. If the texture of the wine is "flabby", or lacking vitality, it is probably deficient in acid. A well-crafted, beautifully balanced wine, regardless of body style, will feel almost suspended in your mouth and will present a clean, flavorful and satisfying sensation. Wine bottles should be stored on their side or upside down to keep the cork moist. A dry cork may not do its job of keeping oxygen out of the wine. One reason sommeliers present the cork to diners in a restaurant is so the customers can verify that the cork was moist. Wine ages faster at warm temperatures. You’re trying to slow (not stall) the aging process, and the best temperature for that is 55ºF, plus or minus a few degrees. More important than achieving 55ºF exactly is keeping fluctuation at a minimum. A storage facility that ranges from 45ºF to 65ºF may give you the right average temperature, but the wine won’t like it. It could expand and contract enough to allow air to enter. Direct sunlight can cause temperature fluctuations, and ultraviolet light in particular can damage wine. Avoid wine shops that store real wines (not dummy bottles) in the window, or at least avoid those wines. Not essential but desirable. In a low-humidity environment, the wine may slowly evaporate, creating ullage (air space) in the bottle’s neck. Oxygen will enter the bottle and could turn the wine to vinegar. A high-humidity setting (above 80 percent) can damage wine labels. 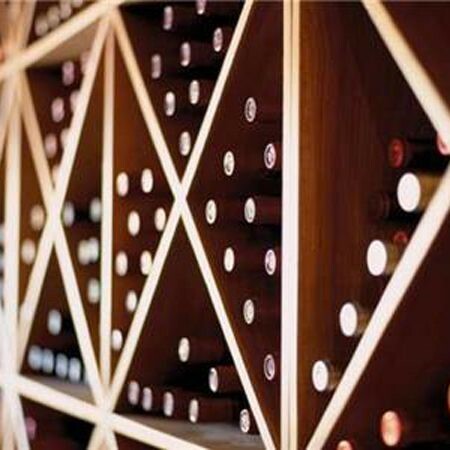 If you can, adjust the humidity of your wine storage area to around 75 percent..